6 Figure Method is a new binary options product promising “instant free access” to 6 figures. The product is developed by Ray Fisher, a man with no reputation in this market. Yet, he believes his software can make traders $23,000 per week. Today I’ll be providing a real analysis of this software and reviewing the credentials of the developer so that you know if this is a worthwhile product to invest in. As is often the case, the 6 Figure Method website provides us with very little information any information they do provide does not come across as legitimate. There is a YouTube video, an email subscription form, 15 testimonials and the members area with a collection of trades from their clients. Obviously, the area that interests me most is the trading results. Yet, for some odd reason there hasn’t been any trades placed in over 2 months. The last trade was placed on August 4th. It’s very likely that these trades were being updated by the developer manually and when people quickly became this interested with the product he stopped updating the results. It really does seem like that’s the most reasonable angle as to why the trading results aren’t being provided anymore. Also, when trying to click on the trading results for the 3 other traders the website just redirects you back to the front page. This is likely a coding error and it’s not very professional. So who is the man behind the 6 Figure Method? Well, he goes by the name Ray Fisher but if you do a Google search for his name you won’t come up with anything that verifies his identity or gives a many credibility. The only thing you will find is a handful of reviews for this new 6 figure product. The picture being used for Ray is actually a stock image that can be purchased online for a small fee. So, the man you are being introduced to doesn’t actually exist. In this case, we are probably dealing with a binary options affiliate that has decided to release say under performing software to try and make a quick buck. This is not the type of investment we are interested in here at binary today. This is exactly what we are fighting against in the binary options market every single day. The 6 Figure Method is a clear loser. There is nothing on this sales page or in the members area that indicates that this is a worthwhile investment opportunity. Considering Ray Fisher doesn’t exist and the trading results haven’t been updated in months, I don’t see anything attractive about this product. Pleae make sure that you stay away. What I do recommend is that you check out my October 2016 Income Report with my newest trading method. 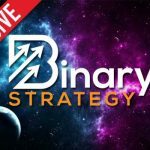 Here you will find a winning strategy that you can use on a daily basis to grow your accounts. Stop looking for shortcuts and start using real trading strategies. Thanks for stopping by and please let me know if you ever need a hand.